Bear's Paws: How Hot Do Cars Get? Spring is here and the weather is quickly warming up. Soon it'll be time for road trips and day trips and all sorts of other trips that include you, your car, your best-est furry friend (maybe some other friends too) and the open road. But what do you do with Fido when you have to stop and run into the store for a moment? 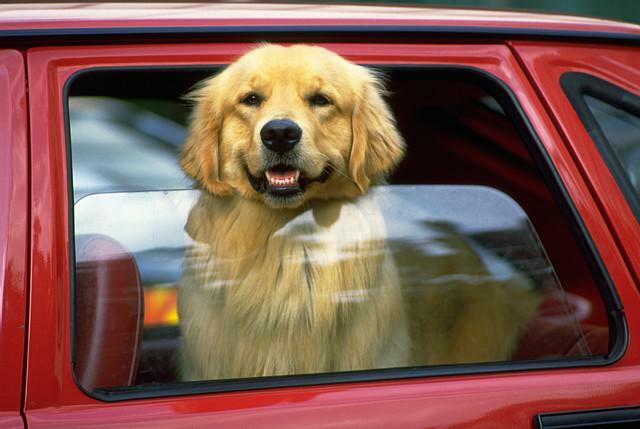 For the most part, pet parents will simply roll down a couple of windows and leave Fido in the car while they run in to shop or finish their chore list. Innocent and simple right? I mean, it couldn't hurt, could it? Fact of the matter is that in North America alone, between 30 and 40 dogs die from being left in their owner's car while the owner is in a store shopping etc..
What you need to realize is that if you're sweating and feeling over-heated while dressed in a t-shirt, shorts and sandals, how do you think Fido feels? He's still wearing a fur coat! So pet-parents be aware of the temperature outside - then add about 20 degrees and you'll have a close approximation of what the temperature in your car will be. 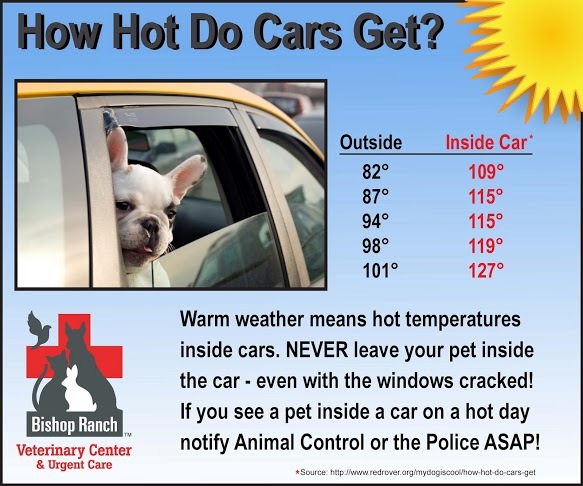 If you can't bear to sit in your car for any period of time without cranking the AC, don't expect your dog to be able to survive the same. Stay safe and aware this season, and if that means leaving Fido at home or at a hotel while your go about your daily chores, then so be it. Better that he be bored and a little lonely for an hour or two until your return than suffering from a hear stroke, or (heaven forbid) dead because of one. Just remember - in your car, it's about 20 degrees hotter than the temperature outside! Keep your tails wagging safely!